For our second conservatory student spotlight, we highlight Harrison Puntillo, a 13-year-old eighth grader from Shrewsbury, Massachusetts. Harrison started as a student in the Pre-Teen Youth Summer Program and has since taken multiple conservatory classes during the year. What classes have you taken at the conservatory? Currently, I am enrolled in Creative Drama II, but I have taken one year in Beginner’s Improv I and two years in Beginner’s Improv II. They have all been very fun! I have loved Creative Drama II because it has explored some deeper elements of theatre that I really like. We have done scene work and we have worked a lot with tableaux. For example, right now we are doing a Shakespeare project, and my group chose “Hamlet.” We need to explain the story of “Hamlet” in five tableaux. If you know the story of “Hamlet,” you will realize that this is no easy task, but it is very fun! My favorite musical is “Hamilton.” Shocker! Yes, it is a great musical, and I was lucky enough to see it live in Boston a few months ago. I still listen to the music daily because it truly is fun to hear. I love it for more reasons than just that, though. As a fellow actor, not only was the singing good, but the acting was top notch! 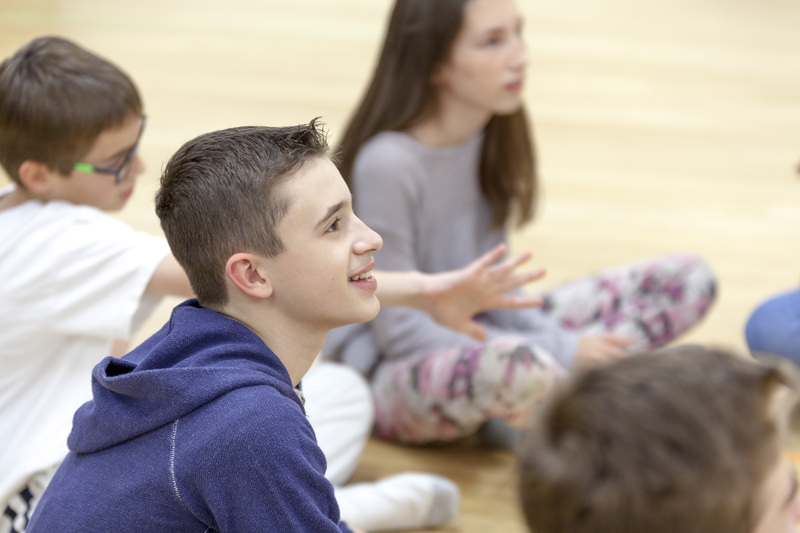 How did you first get involved in the performing arts? It was in sixth grade, and I had just quit baseball and had nothing to do after school. So, my mom encouraged me try out for the school’s spring musical, which at the time was Seussical JR. While I went in not expecting much, I ended up getting the lead role of the Cat in the Hat. The performing arts are a great escape from normal life in my opinion. My life is great, but theatre allows me to go into worlds that I would never have dreamed of before. Plus, the friends you make along the way make the experience worth it. What is your favorite role you have ever played in a show and why? What is your dream role? It is honestly so hard to choose one role out of many great ones that I have played. 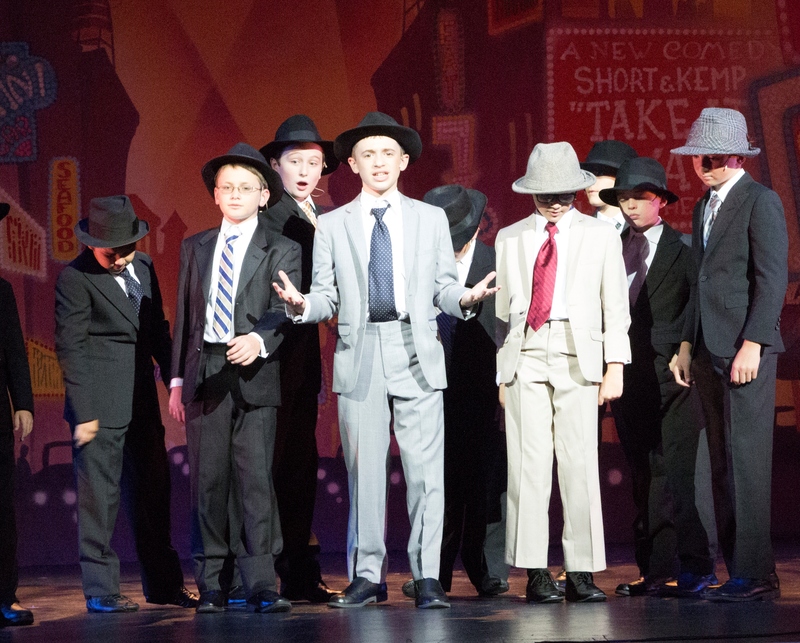 I guess if I had to choose one it would be Nathan Detroit in the Pre-Teen Youth Summer Program production of Guys and Dolls of last year. It was there that I found so many of my theatre friends and that I got my first real taste of The Hanover Theatre stage. I personally want to be in cyber security! It has always fascinated me how coding is like a different language. I’ve also always wanted to help people and learn how to code in different languages. Plus, I play a ton of video games so my fingers are already fast on the keyboard. Do you have a role model or someone that inspires you to be in the performing arts? My dad has been a great role model for me ever since I started theatre. He has always been really supportive of all of my theatre endeavors, especially at The Hanover Theatre. He has showed up to every single one of my performances and, ever since I was born, treated me with love and respect. I admire his sense of work ethic when it comes to doing things he loves. He always told me that when you work for something, that you should always give 100 percent! That is why I take theatre so seriously and why I take pride in everything I do. Thank you so much dad! Interested in joining Harrison in a conservatory class? Visit our website to browse over 75 classes for all ages!